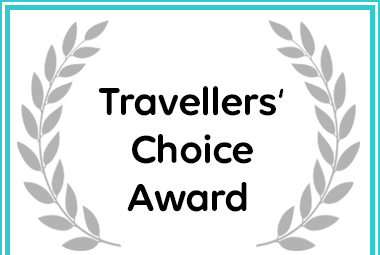 Marina Views in Cape Town received a Travellers' Choice Award. Cape Town offers an abundance of activities all year round so you are never going to get bored. We will gladly assist and point you in the right direction to all the Tourist attractions during your stay. The Marina Estuary is a smorgasbord for the nature enthusiasts, so why not take one of our kayaks and explore the Zandvlei Estuary and the Marina Waterways, or simply relax on your own private patio at the waters edge. We open our doors in August 2018, the building and all its contents are brand new. We are perfectly positioned at the tip of the Marina, directly on the water’s edge providing a tranquil environment and spectacular views of the water and mountains. We are just minutes from the famous Surfers Corner, Shops, Bars, Cafes, Hiking Trails and most of Cape Towns Tourist attractions. Everything was perfect! Located in a reserve, the apartment faces a terrace next to the water which makes it very luxury. We stayed there 2 nights and everything was as presented in the deacription. Lovely clean apartment with kitchenette and cooking facilities, terrace with bbq and you can also take a little boat or kayak to paddle around in the reserve. The owner, who lives in the first floor, as well as Monique, the housekeeping lady, was extremely nice and we really felt welcome and enjoyed our stay. Would definitely go back here next time. Everything was so good. I can’t complain. Would recommend this place to everyone. The use of the paddling boats and canoes give an extra special feeling to this facility. liked pretty much everything. It was exactly what I needed and expected. The hosts are very nice, friendly and hearty. We enjoyed our stay with them in their guesthouse so much and will come back for sure. Very beautiful guesthouse with the best view at the vlei. We used the boat to look around and it was great. Relaxing at the sundeck and having a braai with friends is not a problem. I had a wonderful time and I can visit again, Gary and Monique knows how to treat the visitors and they are so friendly. The view was outstanding and had a great experience. It is even easy to move around and the itinerary that I was given made it easy for me to find the place. it is a place that you can visit more one you do not get enough of it and the view ……..
Accommodation suitable for lengthy stays and tastefully decorated. The setting is magnificent with an added bonus of charming ducks as your wake up call. A peaceful and relaxing environment where one can paddle/row around the large estuary or walk/cycle on the main island. Within walking distance from Muizenburg/St James and Kalk Bay if you enjoy walking. Our host was very helpful and the staff was very pleasant. We would definitely recommend Marina Views to holidaymakers. Probably one of the best self-catering places to stay in the Muizenberg area. The penthouse was spacious with all modern day amenities for a comfortable self-catering stay. The views are amazing and the setting allows for just chilling with a book, or you can paddle/canoe the Marina if you want to burn some calories. Gary and Monique made sure that our stay was enjoyable and comfortable. We hope to visit again soon. Thanks Marina Views Team! One of the best places of stay in cape town. The privacy. Cleanness. Classiness and facilities and all excellent. the wifi too was very good. Beautiful location. Very peaceful and nearby the beach and restaurants. Dis ‘n great plek as jy op soek is na ‘n plek wat rustig is. Maar nie heeltemal buite ide dorp nie. Very impressed by how neat and clean the place is. Top class! Well done! An excellent place to sleep. New and clean with top quality accessories. Would definitely stay here again. and the peace and quiet was a huge bonus. Superb service and a warming welcome. My lake view room was spotless, with breathtaking views of the lake, I couldn’t get enough of the astonishing view. The establishment quality is indeed worth 5 star rating and more. There wasn’t a hassle with anything, the restaurants, shops and beaches is within minutes away. I would recommend this establishment for a romantic weekend getaway, group of friends, alone time, family etc. If you looking for a great service, quiet, breathtaking views, top hospitality service with an amazing host and staff than Marina Views is the place to be. Thank you Gary for a miraculous experience. We will definately be back soon for a visit and we will recommend Marina Views to everyone we know. Honestly, the cleanest place I’ve ever stayed in! Most beautiful place, beautiful views with the lake and mountains right there. I’d recommend this gem to anyone! It was totally awesome stay, host was great, communicated with me directly and made sure if there was anything I needed, awesome venue with great amenities and just so spend time with a loved on, excellent price and very beautiful breathtaking views. What a beautiful, quiet, tranquil place to stay at. My 5 year old daughter went with me, and she enjoyed being able to go on the water with a paddle boat. It is a clean, has the most amazing views and I will definitely recommend it to any couple that just wants to break away. In my own words I would describe it as a hidden gem and definitely unexpectedly beautiful surroundings. The host who welcomed us gets a ten out of ten for hospitality and friendliness. Thank you so much for the warm welcome. We would like to express our appreciation and thanks for the excellent service and care that we had received at Marina Views during our stay. The service that we had received was absolutely Excellent. The Guest provides great quality service. The room is comfortable and clean. The Guest team had definitely devote their best effort in showing their concern for our comfort. Thanks again to Ms. Monique Adams and the team for making our stay special (Upgrade) and unforgettable. of the marina and mountains.